SALT LAKE CITY, UT – Ernst & Young LLP this week announced that Jeff Pedersen, Founder and Owner of Cariloha, international retailer of clothing, bedding and bath goods made from eco-friendly bamboo, was named a finalist in the Ernst & Young Entrepreneur Of The Year® 2013 program in the Utah Region. The award recognizes outstanding entrepreneurs who demonstrate excellence and extraordinary success in such areas as innovation, financial performance and personal commitment to their businesses and communities. Winners will be presented at a special gala on June 20 at The Grand America Hotel in Salt Lake City. Now in its 27th year, the Ernst & Young Entrepreneur Of The Year Program has honored the inspirational leadership of such entrepreneurs as Jeff Bezos of Amazon.com, Michael Dell of Dell Inc., Herb Kelleher of Southwest Airlines, Fred Smith of FedEx, Larry Page and Sergey Brin of Google, Richard Schulze of Best Buy, Andrew Mason of Groupon, Mindy Grossman of HSN, Inc., Reid Hoffman and Jeff Weiner of LinkedIn, and many more. In the Utah Region, local sponsors include Corporate Staging Resources, LLC, Digital Bytes Production & Design, Diversified Insurance Group, Raymond James Financial Services, Inc., Scherzer International, Strong & Hanni Law Firm and The Summit Group Communications. Established in 2007, Cariloha is the only multi-store retailer in the world to provide an entire store experience that’s completely merchandised with products made from bamboo. The product line features an exclusive collection of apparel, accessories, home décor, bedding and bath goods, fitness wear and more all made from bamboo. 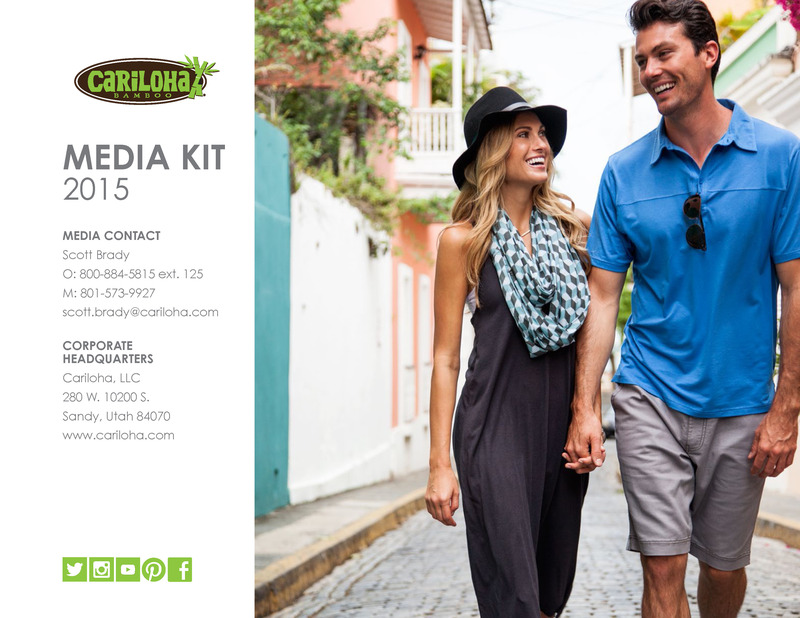 Cariloha’s soft, breezy bamboo goods were first seen out of three stores in Jamaica, Cozumel, and St. Thomas. Since the first three stores, Cariloha has opened 30 stores in 12 countries and growing. Cariloha has quickly become one of the fastest-growing merchants promoted on board Carnival, Celebrity, Disney, Princess, Royal Caribbean and Norwegian Cruise Lines. Today, thanks to an ever-growing, rich supply of bamboo, Cariloha continues to offer an exclusive collection of apparel, accessories, home décor, bed and bath sets and more all enjoying the strength, soft touch, and green ‘footprint’ of this renewable resource. Ernst & Young’s Entrepreneur Of The Year is the world’s most prestigious business award for entrepreneurs. The unique award recognizes the significant contributions of entrepreneurs who inspire others with their vision, leadership and achievement. Ernst & Young LLP’s Strategic Growth Markets (SGM) practice guides leading high-growth companies. Our multidisciplinary team of elite professionals provides perspective and advice to help our clients accelerate market leadership. SGM delivers assurance, tax, transactions and advisory services to thousands of companies spanning all industries. Ernst & Young is the undisputed leader in taking companies public, advising key government agencies on the issues impacting high-growth companies and convening the experts who shape the business climate. For more information, please visit us at ey.com/us/strategicgrowthmarkets, or follow news on Twitter at EY_Growth.